Old Town !!! Travel time !!! 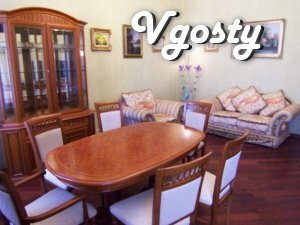 It offers a warm and cozy apartment located in the center of the Old Town. New comfortable furniture, all necessary accessories (household appliances, Wi-Fi, new plumbing, TV, bedding, and towels), will make your stay easy and enjoyable. A breathtaking view from the window of the main attractions of Kamenetz-Podolsk create a relaxed atmosphere of relaxation. You will enjoy a warm and cozy apartment located in the heart of the city. Comfortable furniture, all necessary accessories (household appliances, Wi-Fi, new plumbing, TV, bedding and towels), will make your stay easy and enjoyable. A breathtaking view from the window at night Kamenetz-Podolsk create a relaxed atmosphere of relaxation.